Used for greater mechanical stability than compared to standard glass beakers. 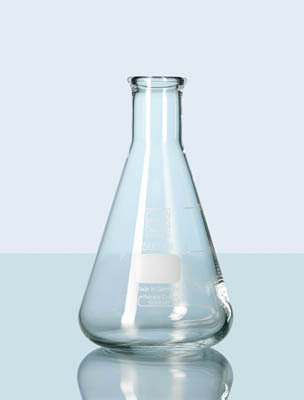 Duran™ Narrow Neck Type 1 Glass/Neutral Glass Super Duty Erlenmeyer Flask are recommended for uniform, slow heating. Meets ISO 1773 and DIN 12380 standard.